Dental care is important for the entire family, and Tempe Dental Care has some new tips to make visiting the dentist easier for families. It’s so important to teach children lifelong dental habits early. Going to the dentist is often a big ordeal for families. Tempe Dental Care is a family friendly dental office and has some tips to make going to the dentist easier. First, make sure children know what to expect. The unknown is scary, so be sure to explain why they are going to the dentist and what will happen. Visits often include teeth cleaning, x-rays, and a dental exam. The American Dental Association has a great video on visiting the dentist at MouthHealthyKids.org. It’s also helpful if children see their parents at the dentist, provided the parent does not have a dental fear. Second, if possible, have children come to a parent's dental visit. Let them see their parent get a check-up without fear or anxiety. This can help show that going to the dentist is a normal, routine thing to do. Make sure whoever takes the child to the dentist does not display any anxiety or fear during the visit. Third, let the dental office know if it’s the child’s first visit or if they have a fear of the dentist. There are things the dentists and dental team can do to make the visit easier for everyone. Finally, make sure children are rested and fed before the appointment. Children who are tired or hungry are not going to have a good visit. While many people do not like going to the dentist, there are many dental offices, like Tempe Dental Care, that are changing the face of dentistry. Dr. Ward, of Tempe Dental Care says, “It’s so important to teach children lifelong dental habits early.” To learn more about Tempe Dental Care and gentle family dentistry, visit their website at http://www.TempeDentalCare.com. The dentists Tempe AZ residents have trusted for over 25 years have been providing cutting edge, state of the art dentistry services to Tempe, Phoenix, and the surrounding areas. Tempe Dental Care offers services in family dentistry, IV sedation dentistry, smile makeovers, dental crowns, dental bridges, root canal therapy, laser dentistry, same day dentures, partial and full dentures, and more. 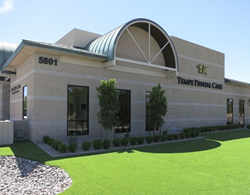 For more information about their sedation dentistry practice or teeth cleaning services visit: http://www.tempedentalcare.com.